A quick view of the most influential metrics in Kearny Mesa. Kearny Mesa is a neighborhood community in the eastern part of the city of San Diego, located in San Diego County, California. Kearny Mesa spans State Route 52 to the north down to Aero Drive to the south and from Interstate 15 on the east to Interstae 805 to the west. Serra Mesa's boundaries are Interstate 805, Interstate 15, Frairs road and Aero Drive. According to city-data.com, whose information dates from 2011, Kearny Mesa spanned 5.950 square miles with a population of approximately 3,211 people giving the community a population density of 4,089 people per square mile. The site also revealed that Serra Mesa spanned 4.059 square miles with a population of 23,953 giving the community a population density of 5,901 people per square mile. 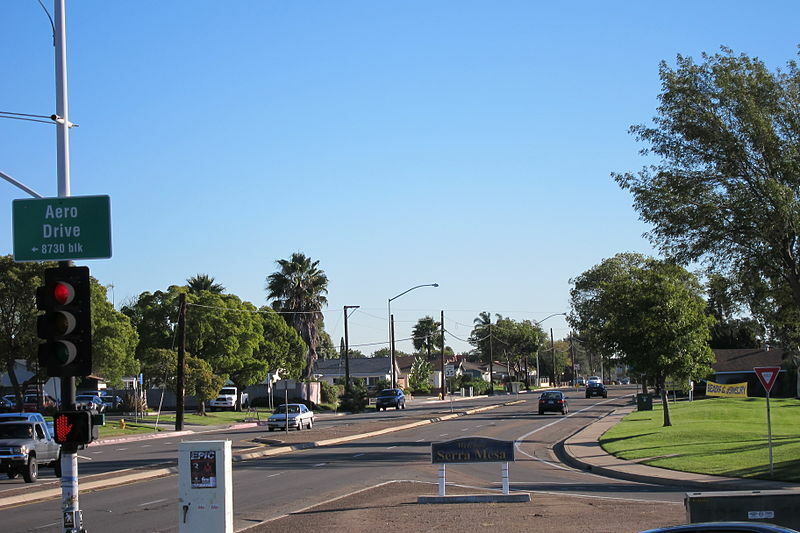 The name of the Kearny Mesa neighborhood comes from the former U.S. military base, Camp Kearny which later became the Marine Corps Air Station at Miramar. The fort in turn was named after Brigadier General Stephen W. Kearny. The urbanization of the area began in approximately 1937. The economy of the neighborhood rests heavily on commercial and industrial efforts. The development of these businesses in the area began with the establishment of General Dynamics in 1955. Today the neighborhood is home to numerous electronic, industrial and aerospace businesses as well as some commercial development. The neighborhood has limited residential areas and retail businesses, but does feature auto sales locations, restaurants, chain stores and small businesses. Search for the perfect place to call home in Kearny Mesa and Serra Mesa in the booming city of San Diego. Kearny Mesa are aisrt of the San Diego Unified School District and have a variety of public and private schools dedicated to the education of neighborhood youth. The housing market in the two neighborhoods is varied and homes for sale range from small starter homes and fixer uppers up through luxury homes. Rental options include houses, apartments and multi-family structures such as duplexes. Other housing options include upscale apartments, condominiums and town houses for sale or lease. Call a local real estate agent today for assistance in your search for the perfect place to call home in Kearny Mesa in the booming city of San Diego. View our selection of available properties in the Kearny Mesa area. Check out the latest demographic information available for Kearny Mesa. Learn more about schools near Kearny Mesa complete with ratings and contact information. Browse through the top rated businesses in the most popular categories Kearny Mesa has to offer.